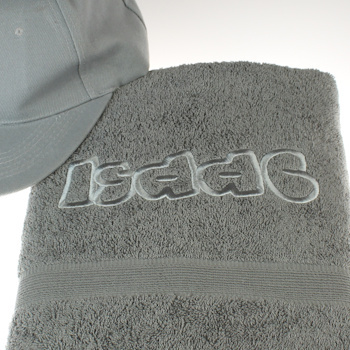 Stylish personalised grey cotton bath towel a unique and useful gift for yourself, the family or a friend. This bath sized towel is 100% cotton 500gsm. 75x125cm towel. This bath sized towel is 100% cotton 500gsm. 75x125cm towel. This towel looks great in the bathroom and is also a very popular gift for anniversaries, birthdays and Christmas too!